For the month of February, 100% of the proceeds from new Art Party Online memberships are designated to support an Art Fundamentals program for students at Jefferson Elementary School in Boise, Idaho. I designed the curriculum as a semester long exploration of basic art and design skills as well as introducing Creative Literacy concepts, and I will be working in 4th and 6th grade classrooms weekly through the rest of the school year. In addition to volunteering my time, I am allotting funds from Art Party Online memberships to provide sketch books and drawing pencils to each participating student. The student body at Jefferson Elementary (where my own children attend) is special. It is the home school for many New American families which brings a beautiful level of diversity that isn’t seen in many schools in Boise (by more than a 20% difference from the average!) but this also means that disproportionately more students face challenges not seen at the average Boise school, including language barriers, economic disparity, and refugee trauma. Additionally, Jefferson is the designated school for Deaf and Hard-of-hearing students for the entire district. I know that art-making is a powerful tool when fostered in the right way. It allows us to explore emotions and to communicate our ideas in a way that transcends the limitations of putting them to words. The ability to think creatively–to create–is something that exists intrinsically and isn’t impeded by socio-economic status. Equipping these students with a creative mindset and a confidence in their ability to be creative is a life skill, and one that they may not be taught otherwise, given the current lack of funding for arts of all kinds throughout our education system. Being able to provide them with art tools to keep is important as it fosters a sense of pride, of ownership, and removes any barriers they may have to creating when inspiration strikes. It is a great privilege that I am able to bring this to these students, and with the support of people like you, I plan to expand this program into as many classrooms and impact the lives of as many kids as possible. 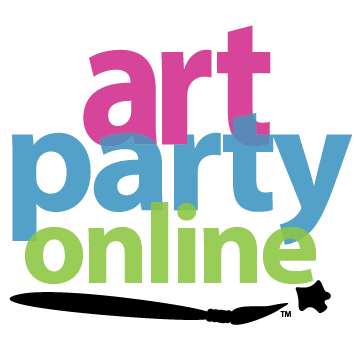 When you join Art Party Online today, you’ll get access to a library of video tutorials and personal support (by yours truly!) in your own art making where you will experience all the wonderful benefits that you’re helping gift to these kids.